-- Dial: (888) 203-1112; International (719) 457-0820; and Passcode # 4647589. The update will be available from Tuesday, September 18, 2018, at 5:00 P.M. Eastern Time until 11:59 P.M. Eastern Time on Wednesday, October 17, 2018. The Fund is a diversified, closed-end management investment company that seeks to provide a high level of current income and gains and, to a lesser extent, capital appreciation. The Fund seeks to achieve its investment objective by investing in a diversified portfolio of equity securities and by writing (selling) covered call options on a portion of the equity securities in the fund's portfolio. First Trust Advisors L.P. ("FTA") is a federally registered investment advisor and serves as the Fund's investment advisor. FTA and its affiliate First Trust Portfolios L.P. ("FTP"), a FINRA registered broker-dealer, are privately-held companies that provide a variety of investment services. FTA has collective assets under management or supervision of approximately $134 billion as of August 31, 2018 through unit investment trusts, exchange-traded funds, closed-end funds, mutual funds and separate managed accounts. FTA is the supervisor of the First Trust unit investment trusts, while FTP is the sponsor. FTP is also a distributor of mutual fund shares and exchange-traded fund creation units. FTA and FTP are based in Wheaton, Illinois. Chartwell Investment Partners, LLC ("Chartwell") is an investment firm focusing on institutional, sub-advisory, and private client relationships. The firm is a research-based equity and fixed-income manager with a disciplined, team-oriented investment process. As of August 31, 2018, Chartwell had approximately $9.8 billion in assets under management. Investment return and market value of an investment in the Fund will fluctuate. Shares, when sold, may be worth more or less than their original cost. Principal Risk Factors: Equity securities prices fluctuate for several reasons, including changes in investors' perceptions of the financial condition of an issuer or the general condition of the relevant stock market, or when political or economic events affecting the issuers or their industries occur. The Fund may write (sell) covered call options on all or a portion of the equity securities held in the Fund's portfolio. The use of options may require the Fund to sell portfolio securities at inopportune times or for prices other than current market values, may limit the amount of appreciation the Fund can realize on an investment, or may cause the Fund to hold an equity security that it might otherwise sell. There is no guarantee that the issuers of the equity securities in which the Fund invests will declare dividends in the future or that if declared they will remain at current levels. 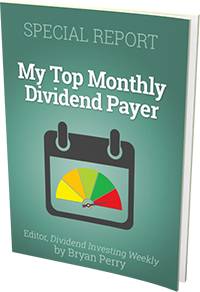 There can be no assurance as to what portion of the distributions paid to the Fund's Common Shareholders will consist of tax-advantaged qualified dividend income. The Fund's daily closing New York Stock Exchange price and net asset value per share as well as other information can be found at www.ftportfolios.com or by calling (800) 988-5891.